徐云飞, 刘军平, 丛峰, 孙柏东, 黄晓明. 滇西澜沧江南段小湾地区崇山岩群LA-ICP-MS锆石U-Pb年龄及其地质意义[J]. 地质通报, 2018, 37(6): 1006-1014. 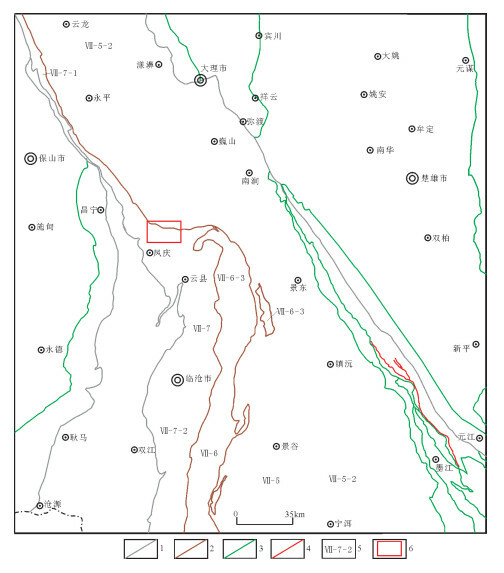 Xu Y F, Liu J P, Cong F, Sun B D, Huang X M. LA-ICP-MS zircon U-Pb dating of the Chongshan Group in the Xiaowan area along the southern section of the Lancang River in western Yunnan and its geological significance[J]. 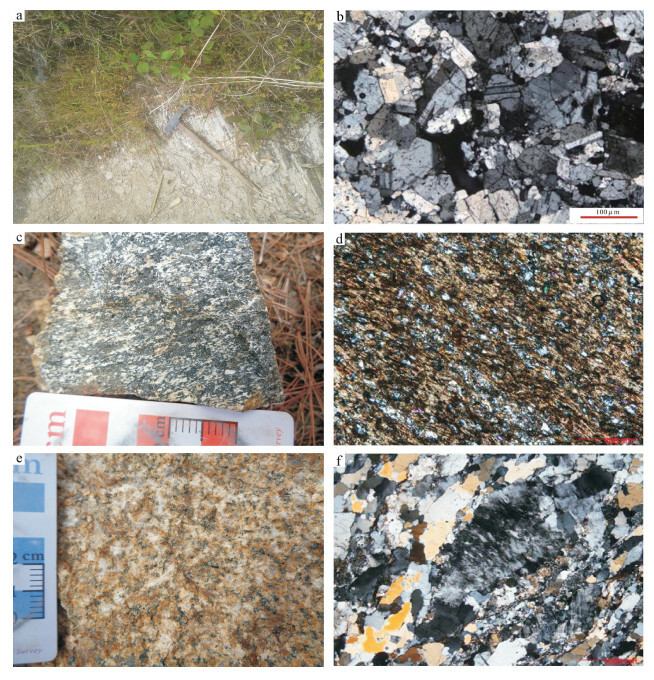 Geological Bulletin of China, 2018, 37(6): 1006-1014. 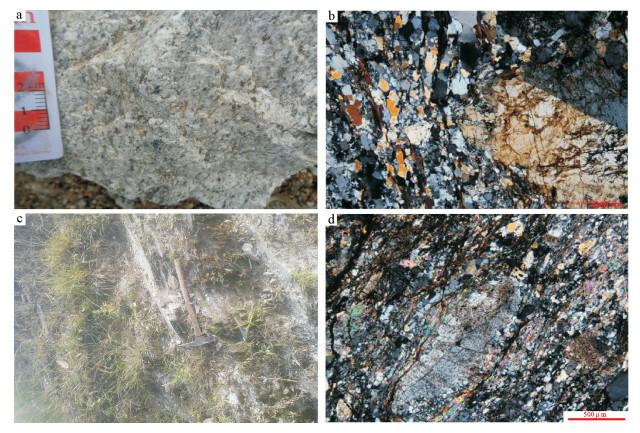 Abstract: This paper focuses on the LA-ICP-MS U-Pb ages of the zircons of five samples(mylonitization plagioclase leptynite, bio-tite amphibolites, gneiss, mylonitization granitic gneiss, and mylonitization biotite amphibolites)from the Chongshan Group in the Xiaowan area along the southern section of Lancang River of western Yunnan.Cathodoluminescence images of five samples reveal that these zircon crystals generally have oscillatory zoning, implying their magatic genesis.One hundred and two analyses of five sam-ples yielded concordance, with their weighted average ages being 239.4±3.8Ma, 248.4±4.3Ma, 237.1±5.7Ma, 268.7±3.2Ma, and 238.4±5.5Ma.According to geological characteristics and available age data, it is considered that the so-called Chongshan Group in the Xiaowan area is orthometamorphite composed of various parent components with different ages rather than entirely Proterozoic crystalline basement rocks as previously considered. 翟明国, 从柏林, 乔广生, 等. 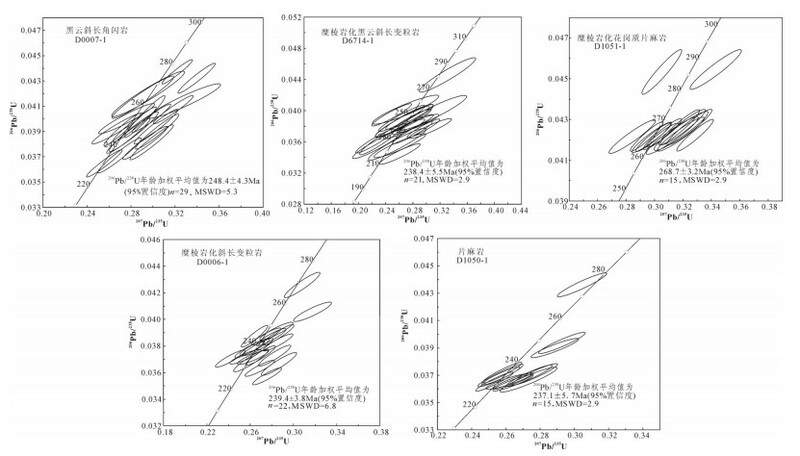 中国滇西南造山带变质岩的Sm-Nd和Rb-Sr同位素年代学[J]. 岩石学报, 1990, 4: 1–10. 卫管一, 冯国荣, 罗再文, 等. 滇西澜沧群、崇山群地层层序及其火山作用和变质作用[J]. 成都地质学院学报, 1984, 2: 12–19. 王辉. 青藏高原羌塘-三江地区残留微陆块[J]. 云南地质, 2005, 24(1): 1–10. Hu Z C, Gao S, Liu Y S, et al. Signal enhancement in laser ablation ICP-MS by addition of nitrogen in the central channel gas[J]. Jour-nal of Analytical Atomic Spectrometry, 2008, 23: 1093–1101. DOI:10.1039/b804760j. Hu Z C, Liu Y S, Gao S, et al. A wire signal smoothing device for la-ser ablation inductively coupled plasma mass spectrometry analysis[J]. Spectrochimica Acta Part B:Atomic Spectroscopy, 2012, 78: 50–57. DOI:10.1016/j.sab.2012.09.007. Liu Y S, Hu Z C, Gao S, et al. In situ analysis of major and trace ele-ments of anhydrous minerals by LA-ICP-MS with applying an in-ternal standards[J]. Chemical Geology, 2008, 257(1/2): 34–43. Liu Y S, Gao S, Hu Z C, et al. Continental and oceanic crust recy-cling-induced melt-peridotite interactions in the Trans-North Chi-na Orogen:U-Pb dating, Hf isotopes and trace elements in zircons of mantle xenoliths[J]. 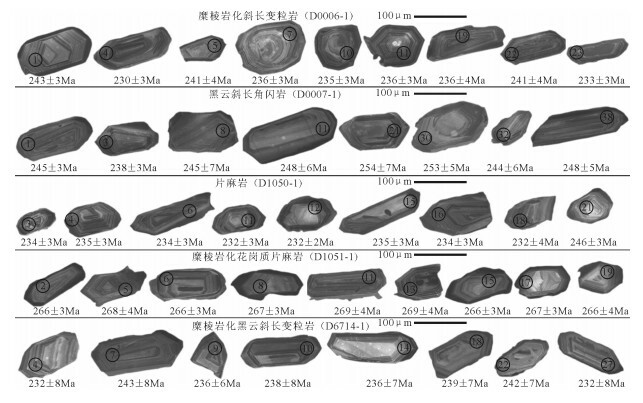 Journal of Petrology, 2010, 51(1/2): 537–571. Wiedenbeck M, Alle P, Corfu F, et al. Three natural zircon stan-dards for U-Th-Pb, Lu-Hf, trace element and REE analyses[J]. Geostandards and Geoanalytical Research, 1995, 19(1): 1–23. DOI:10.1111/ggr.1995.19.issue-1. Ludwig K R. Isoplot 3.00:A Geochronological Toolkit for Micro-soft Excel[M]. Berkelery: Berkeley Geochronology Center, Califor-nia 39, 2003. 王海然, 赵红格, 乔建新, 等. 锆石U-Pb同位素测年原理及应用[J]. 地质与资源, 2013, 22(3): 229–242. ② 云南省地质局区域地质调查队. 1: 200000 永平幅（G-47-XXII）区域地质调查报告（油印本）. 1976.